Team news and transfer roundup including new Southern Hemisphere signings for Glasgow. Glasgow welcomed 7th placed Cardiff to Scotstoun on what seemed like a lovely night for some flowing PRO12 rugby, until the rain came down in buckets. John Anderson reports. John Anderson and Rory Baldwin rate the Edinburgh and Glasgow teams from yesterday’s match at BT Murrayfield. 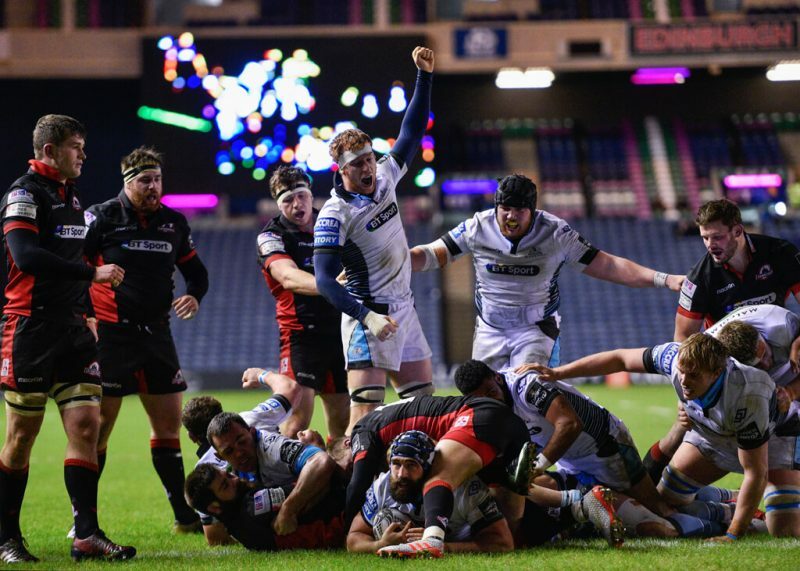 Festive greetings from Scottish Rugby played out in front of a big Murrayfield crowd – but who would get the bragging rights? John Anderson reports. Jack Mysyk watches as Edinburgh visit a powerful Ospreys side and come away with dignity intact (barely) and not much else. Glasgow Warriors badly needed a win to get their season back on track heading into European back-to-backs. Unfortunately Munster are still grimly clinging on to the form that has put them atop the league. After a narrow and dispiriting loss to Zebre at home, Edinburgh faced the daunting prospect of a visit from Ulster but came out blasting, writes Rory Baldwin. With Pro12 action returning this weekend and Glasgow stung by their under performance in Limerick, was it a Halloween thriller at Scotstoun, or just a bit of a shocker? John Anderson reports. Gav Harper looks at the positives Edinburgh will take from their recent win going into Challenge Cup action this weekend. A wins a win an aw that. So says John Anderson as Glasgow sneak past the Dragons at Rodney Parade.